ROYAL Navy sailors have donated £2000 to a charity in Fareham. HMS Queen Elizabeth’s crew has celebrated Commonwealth Day as ‘one ship’. 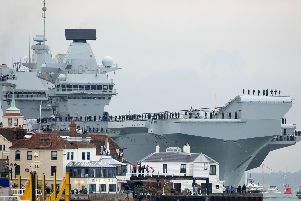 AN exercise simulating a disaster took place on-board HMS Queen Elizabeth yesterday. 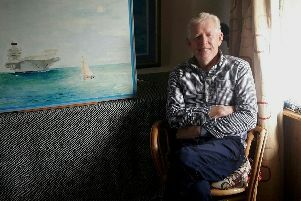 MARINE artist Eric Anderson has spoken of his joy at undertaking a new series of fine art paintings featuring Royal Navy aircraft carrier HMS Queen Elizabeth. HMS Queen Elizabeth has hit back at ‘fake news’ that she does not have any aircraft. 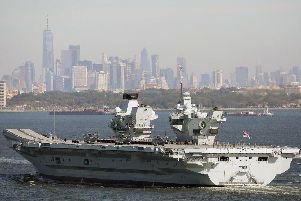 HMS Queen Elizabeth is the future flagship of the Royal Navy and will enter active service in the next decade. 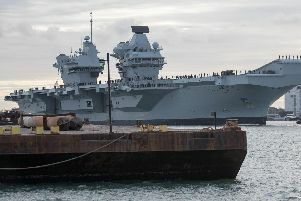 HMS Queen Elizabeth’s final captain might not have even been born yet. 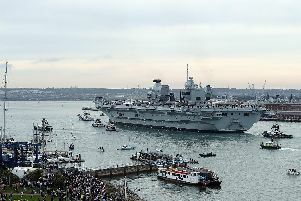 HMS Queen Elizabeth ‘proud to be Pompey’ and reveals support for Portsmouth F.C. 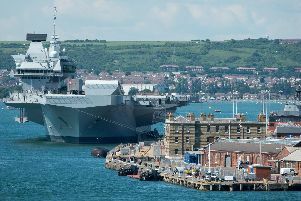 SHE is the future flagship of the Royal Navy and is ‘proud to be Pompey’. 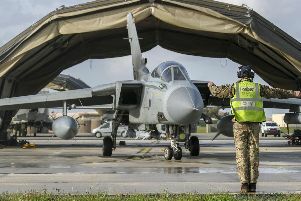 BRITAIN will hear the iconic thunder of the Royal Air Force's Tornado jets for the final time this week. 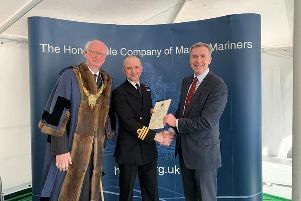 A member of HMS Queen Elizabeth’s ship’s company has been awarded a prestigious status by a senior admiral in the Royal Navy. 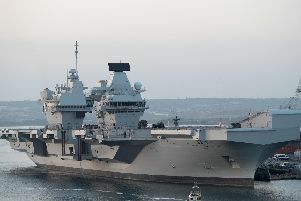 THE defence secretary has defended plans to deploy HMS Queen Elizabeth to the Pacific on her first operational mission after China s said to have cancelled trade talks with the UK following the announcement. 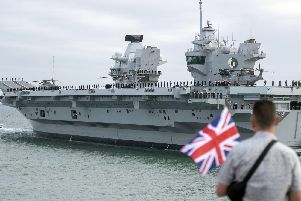 CHANCELLOR Philip Hammond will not be visiting China for trade talks this weekend as reportedly planned – after defence secretary Gavin Williamson threatened to send the HMS Queen Elizabeth to the Pacific. 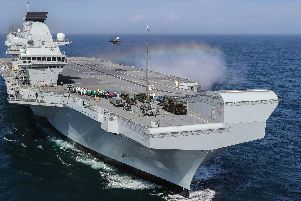 How many Royal Navy ships have had the name HMS Queen Elizabeth? 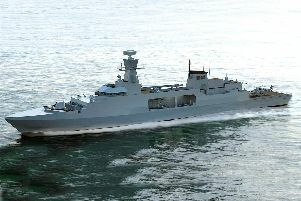 SHE is the future flagship of the Royal Navy and she’s named after a sovereign of the United Kingdom. AROUND 150 jobs are to be cut from one of the UK's leading shipyards, in a ‘kick in the teeth’ to the local workforce, says Unite. 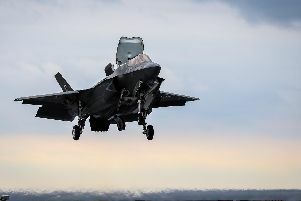 THERE is a funding black hole of at least £7b in plans for kit for the armed forces due to government dithering over which projects to fully finance, cancel or scale back, the Commons public spending watchdog said. AMBITIOUS plans are being drawn up by the Royal Navy to build a new mega dry dock capable of housing Britain’s new aircraft carriers in a venture that could be worth hundreds of millions for Portsmouth.